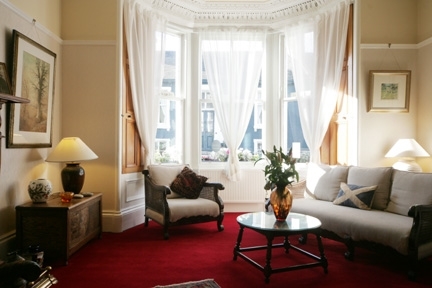 Award winning 4 Star Guest house assuring you of a warm Scottish welcome. 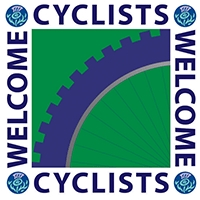 Excellent quality accommodation, value for money, great personal service. Awarded Tripadvisor Standard of Excellence. 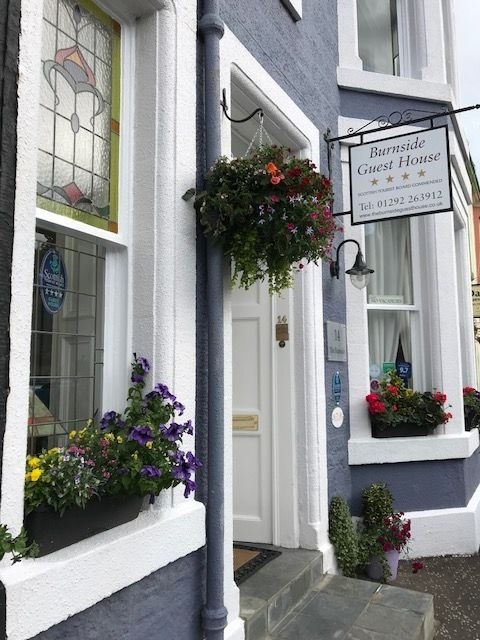 The Burnside guesthouse is centrally located, close to the seafront and the amenities of Ayr town centre. Ayr has a good shopping centre and lots of restaurants and pubs to choose from. 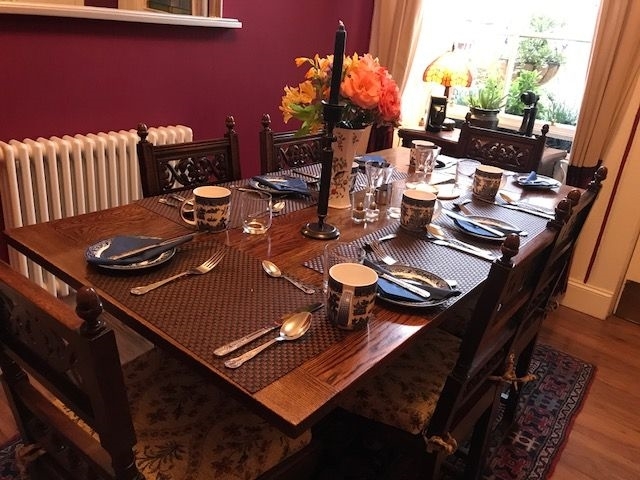 The guest house has been refurbished in a beautiful traditional style,retaining its period features. 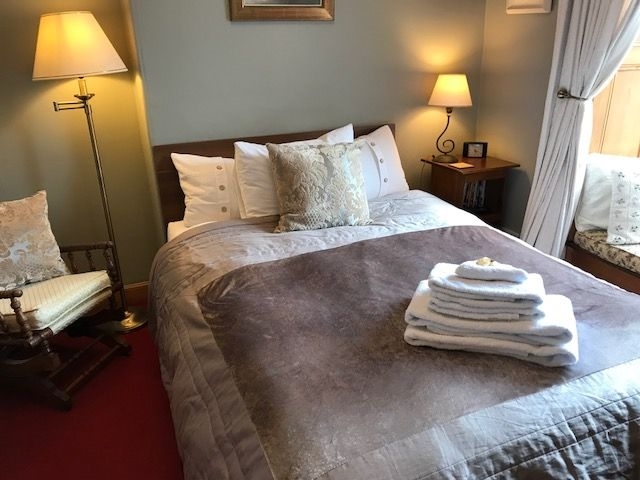 Shower en-suites available, king size beds and all have TV-DVD, tea/coffee, electronic safes, hairdryer, ironing facilities and free wifi and parking. 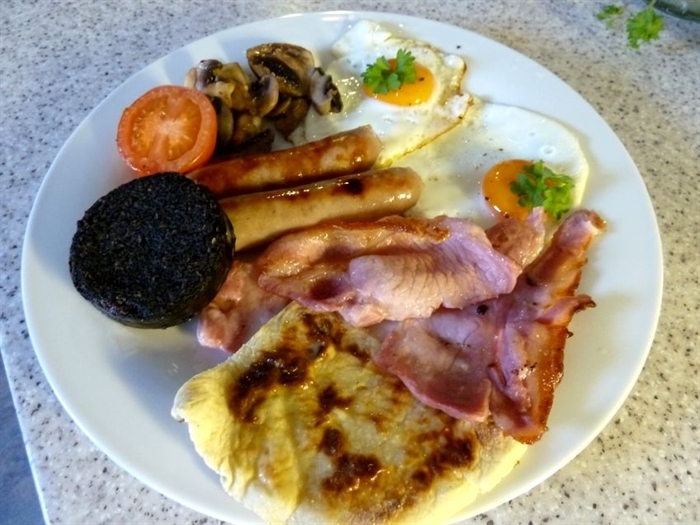 Excellent quality 4Star accommodation and service assured, not to mention superb choices on the breakfast menu endorsing local produce! Burnside was awarded Certificate of Excellence by Tripadvisor. Check out the reviews. 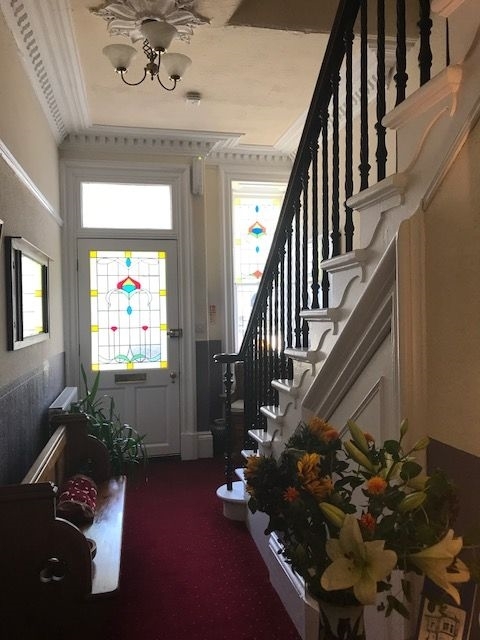 It is only a 20 min drive from Prestwick International airport and easily accessible from both Glasgow or the south via the A77 or the A70. 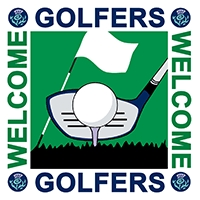 Ayrshire also hosts over 40 golf courses, including the famous Open Championship courses Turnberry, Old Prestwick and Royal Troon and quality municipal courses such as Belleisle. 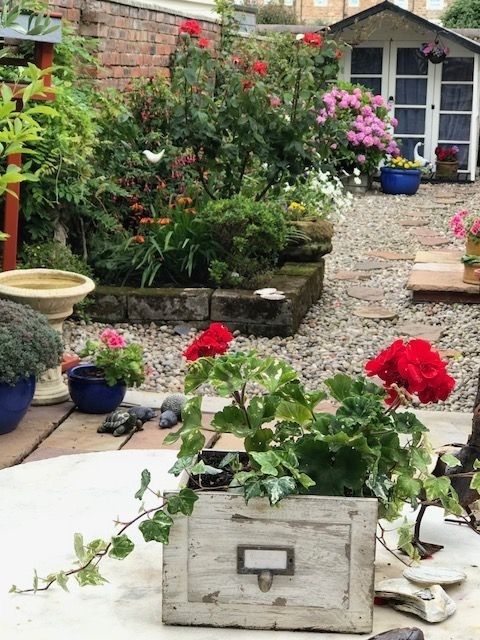 Other attractions include Ayr Racecourse, the Gaiety Theatre, Heads of Ayr Farm Park, Cycle Routes, Walks at Auchincruive, the River Ayr Way and the Ayrshire Coastal Path. Public parks include Rozelle and Belleisle. Ayr seafront has amenities for old and young alike: an exciting play area for children, crazy golf and putting. 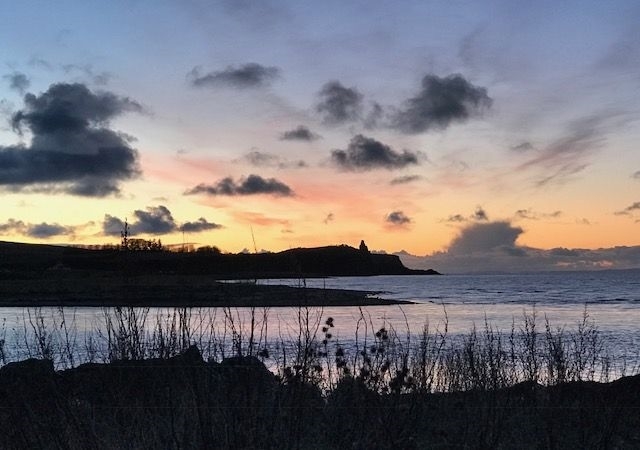 Or else you can just enjoy a leisurely walk along the esplanade or the wide sandy beach and watch the breathtaking sunsets over Arran. 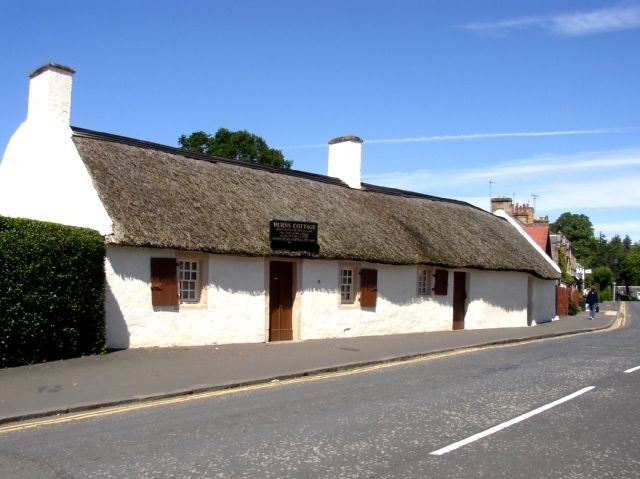 If you are planning a trip to Ayr why not stop over for a few days, there is plenty to do and see for all ages. 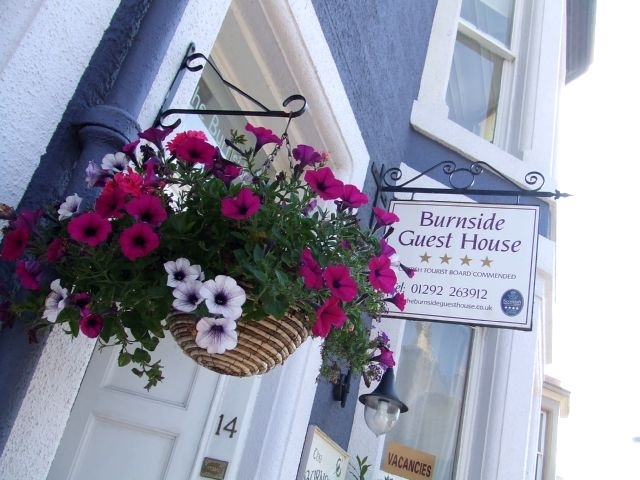 I shall look forward to extending a warm welcome to all those visiting the Burnside Guest House. 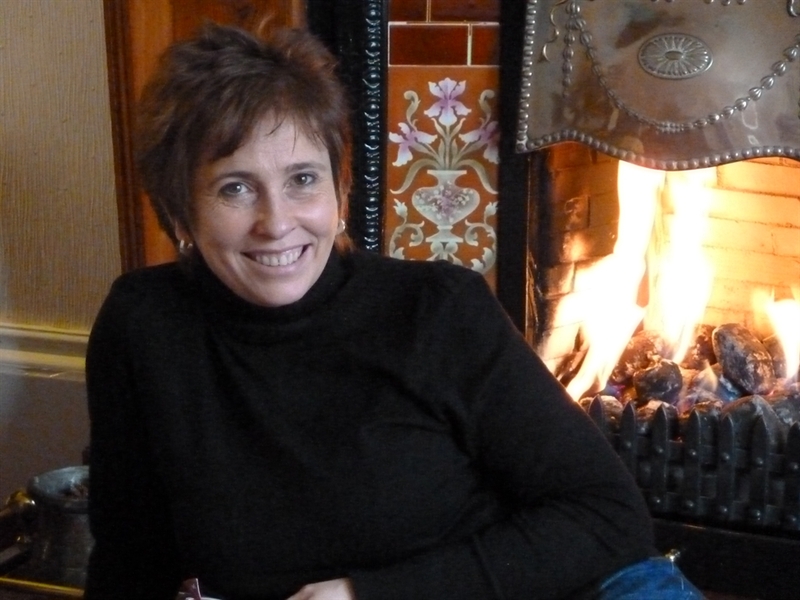 Winter offers available: three nights for price of two. Great value! Burnside Welcomes You! Burnside Welcomes You! 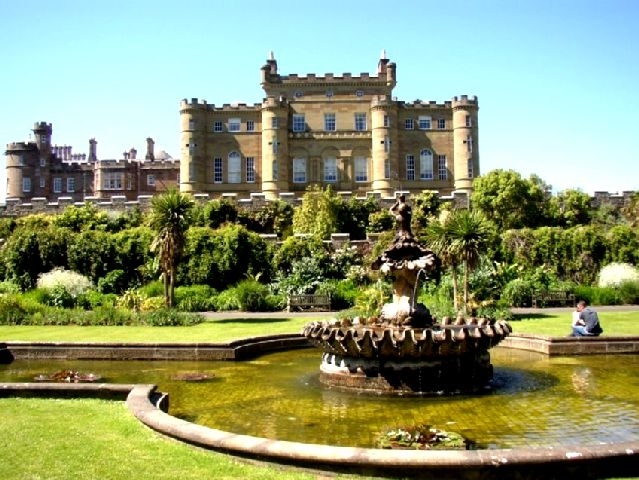 Culzean Castle Double or twin room with en-suite facilities Family room or superior double with en-suite Burns Cottage in Alloway, Ayr Full Scottish breakfast-delicious! 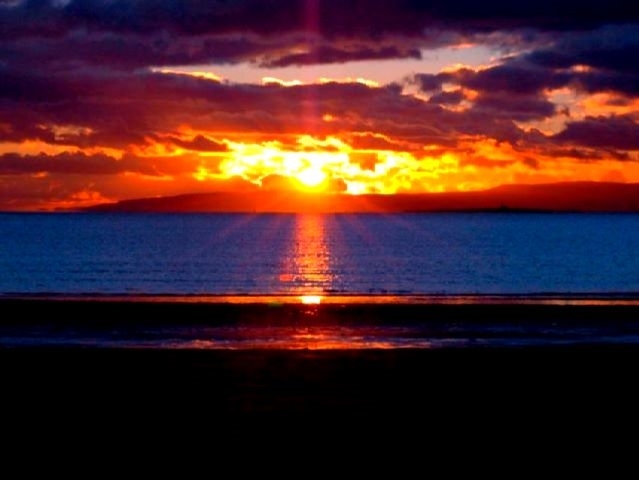 Liz, your host will ensure a warm welcome Stunning sunset on Ayr beach. Copyright Chris Sprucefield Double room with en-suite shower room. 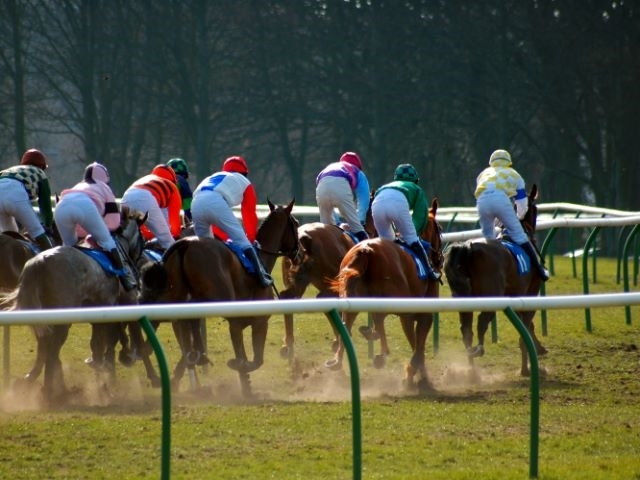 View over to Isle of Arran Enjoy horse racing at Ayr Smoked salmon for breakfast En-suite facility for family room Room 1. Single room with en-suite looking out onto quiet garden. small family room for 3 persons. 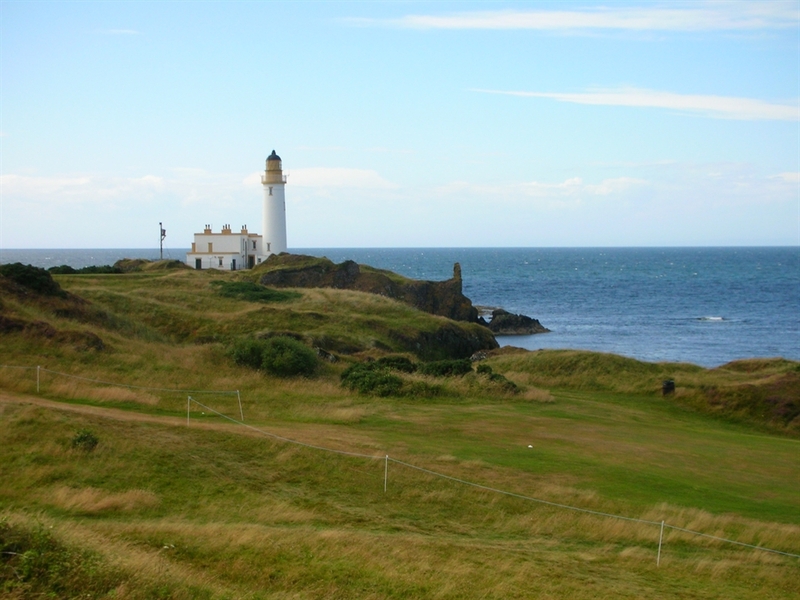 Double or twin Turnberry Lighthouse and golf course a short drive away.